I have been SO excited by this book for so long! I've so many wonderful things about it & it will definitely be my next read. Just wait for my gushing review!! It seems that the majority of my friends have beat me to reading this one & the blurb for it sounds amazing. Can't wait to give this one a read soon! I went to spend the day in Bath with my Mum this week (Blog post to come soon) And went to the Jane Austen Centre. There was a gift shop, so of course I had to buy some goodies for myself! This was written by Jane Austen when she was a child & all the illustrations were done by her sister. Too cool to not buy! 2 Pencils - I buy a pencil wherever I go - strange habit! That was my lot for this week - hope you got some Great stuff too!!! Great books! New follower too! 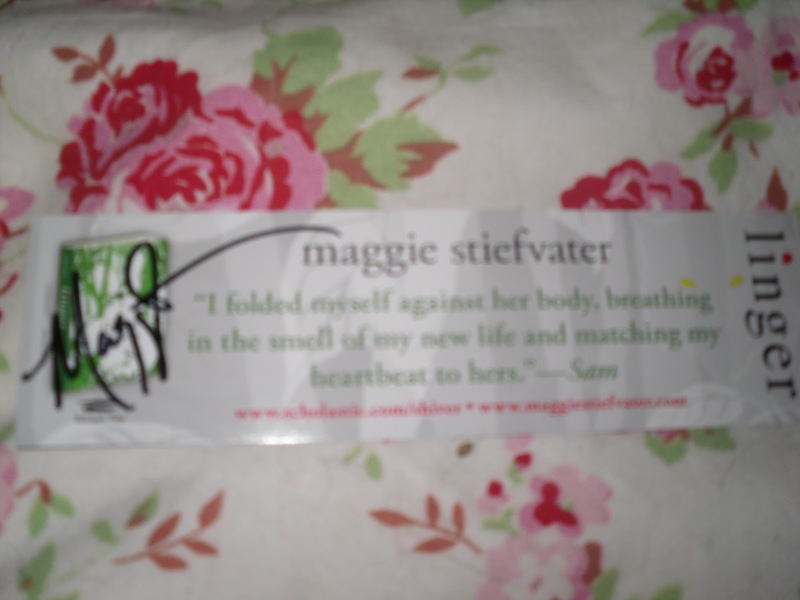 Congrats on the Maggie bookmark! Lucky girl. 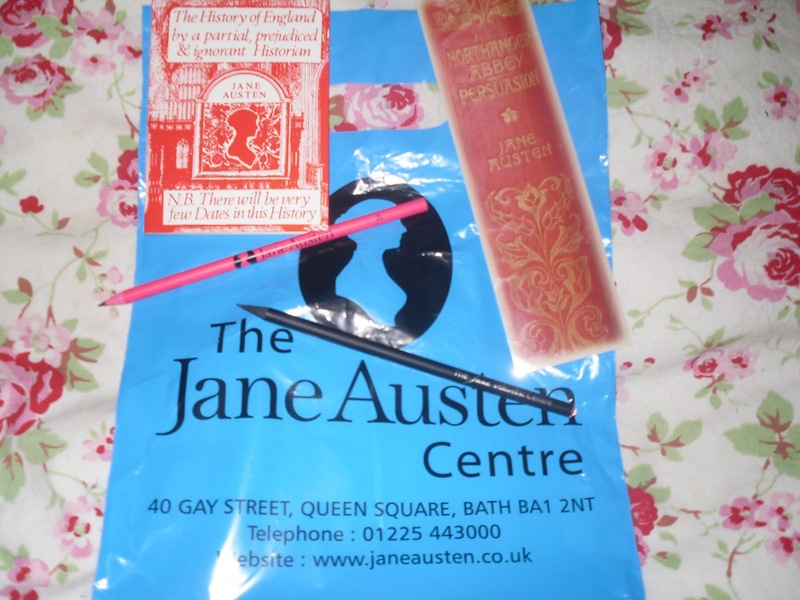 So jealous that you went to Bath for Jane Austen stuff. I've only been to Bath once and it was before I cared about Austen :-( I'll go on my next trip to England. A ton of gorgeousness this week! Hope you enjoy your books! I highly recommend visiting Bath - Its gorgeous there!! Love the cover of Entangled - there's something about it that draws me right in. Great! Congratulations on your win. I love bookmarks. Signed ones even more! 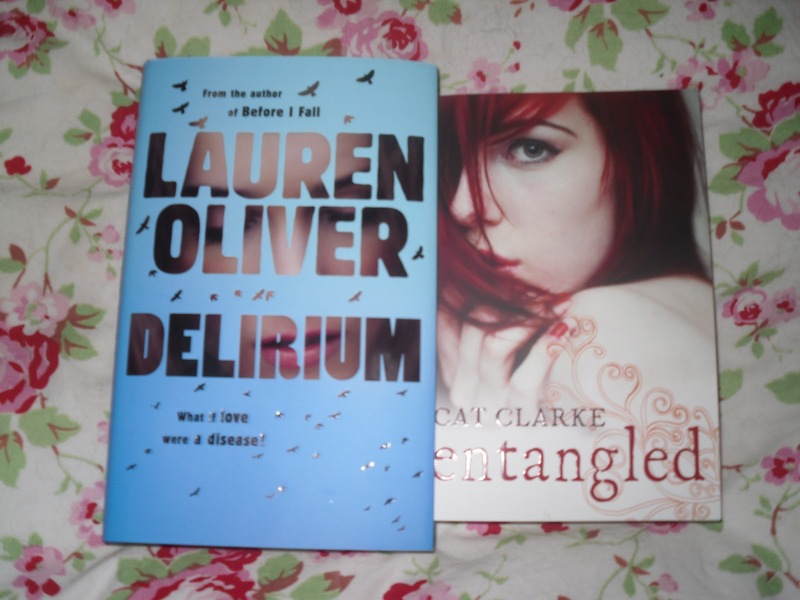 I got Entangled a couple of weeks ago but I haven't managed to read it yet, but Delirium is fab! Hope you enjoy them. 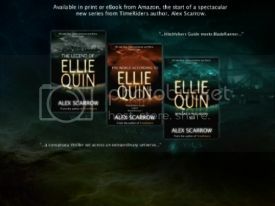 @The Slowest Bookworm - Thanks :D I'm so uber excited for Delirium - it sounds wonderful! And Entangled sounds really good, can't wait to read it! @Lu & YA Book Queen Thanks so much! Really excited for them! Delirium is AMAZING. I hope you love it as much as I did! Lots of people have been getting it this week. I still have Entangled sitting on my TBR pile, but I hope to get to it soon! I hope that you enjoy your books. Check out what was In My Mailbox. I love the Delirium cover, I'm hoping to find it in my library soon. Same with Entangled, I've seen it in a lot of places, although I haven't read many reviews yet.